Our entire staff has experience, expertise and commitment to serve you or your loved ones. One Stop Senior Service is proud of the team that we currently have. 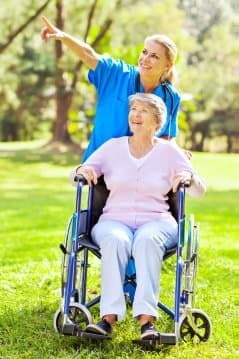 The members of our team are all professionals, dedicated and qualified to render the care you deserve. 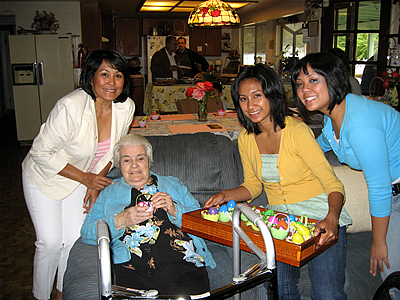 We have experienced and caring staff to look after your loved ones. In-spite of our more that 20 years experience, we never stop learning new ways using new equipment and applying new proven methods and techniques to give your loved ones the best care possible. Everyone of us has undergone this thorough screening to assure your loved ones our sincere intention to provide with utmost professionalism in conducting our duties to the best of our abilities. You or your loved ones receives exceptional care coming from professionals who value, respect and treat our clients as family members. While our caregivers were already trained to fulfill their duties prior to their employment, we still send our staff to yearly continuing education to better themselves resulting in continuous delivery of quality care to our clientele. To learn more about our staff, you may talk to us at 951-333-0483 (Edna) or 951-563-2626 (Alan).